This course may also be of interest to graduates with qualifications in non-computer disciplines who wish to pursue training in the area of software development. This course is designed to give the student a firm foundation in the skills required to develop software. Software development involves writing and testing computer programs to meet a customer’s needs. Students are introduced to the basics of programming using the Python programming language. Once the basic principles of programming are understood students move on to more advanced concepts using the popular Java programming language. Throughout the course there is a focus on the development of ‘soft skills’ such as problem solving, communications and team working. Students learn how to identify and document customer requirements. Programming is taught in a fun and interactive way. Students will also be given the opportunity to prepare for and achieve certification in the much sought after Oracle Java Foundations Certified Junior Associate (novice-level certification) - at no additional cost. Over the past decade there has been a sharp increase in the demand for software developers in Ireland and abroad. Examples of opportunities that exist are: computer programming, system analysis and design, software testing, technical writer, database administrator, technical support as well as website design and development. With some experience careers also exist in the areas of system architecture, project management, marketing, sales, and the very lucrative software consultancy business. 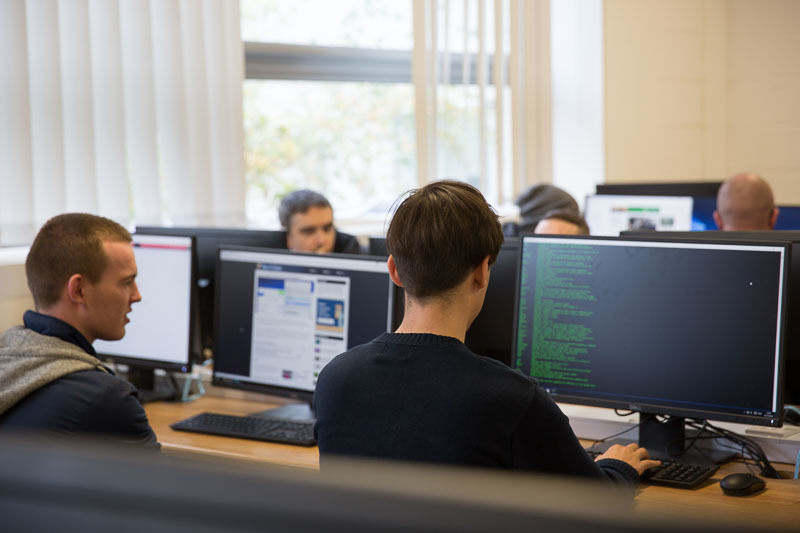 The Software Development courses at Cavan Institute put you on this career path. At Cavan Institute: Students who successfully complete this course meet the entry requirements for a range of level 6 courses offered at Cavan Institute, including Software Development (Year 2), Computer Games Development and Computer and Network Technician (Year 2).